NBN sets December launch date for up to 50/20Mbps speeds - jxeeno™ blog. 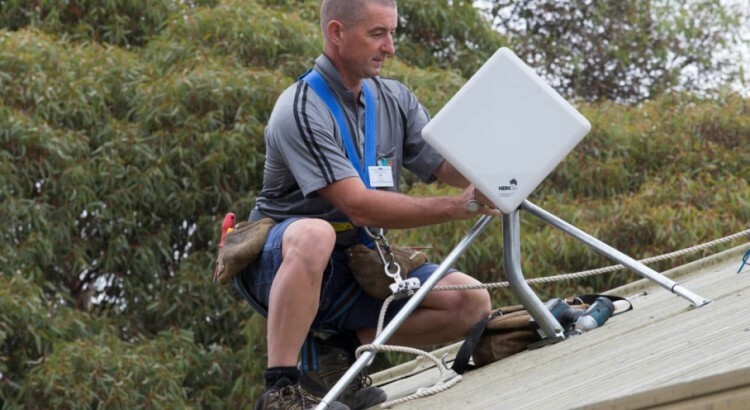 The company responsible for building the National Broadband Network, nbn, has released an updated Wholesale Broadband Agreement (WBA) to service providers which includes the new up to 50/20 Mbps speed range. Originally, the company had limited the speed achievable on the NBN Fixed Wireless network to be 25/5 Mbps. However, according to the Product Technical Specification document, the equipment (W-NTD) installed in homes are capable of speeds of up to 75 Mbps downstream and 20 Mbps upstream depending on the equipment version. nbn will begin to offer the 25-50/5-20 Mbps speed tier for the commonly used Traffic Class 4 Access Virtual Circuit, starting 1st December 2015. The company will also offer a 0.3 Mbps Traffic Class 1 Access Virtual Circuit — up from 0.15 Mbps, intended for low-latency services such as VoIP lines. However, unlike the other Fixed-line technologies such as Fibre, FTTN and HFC — the NBN Fixed Wireless network will not offer an up-to 25/10 Mbps speed tier. The company has been trialing the product since mid-May this year.